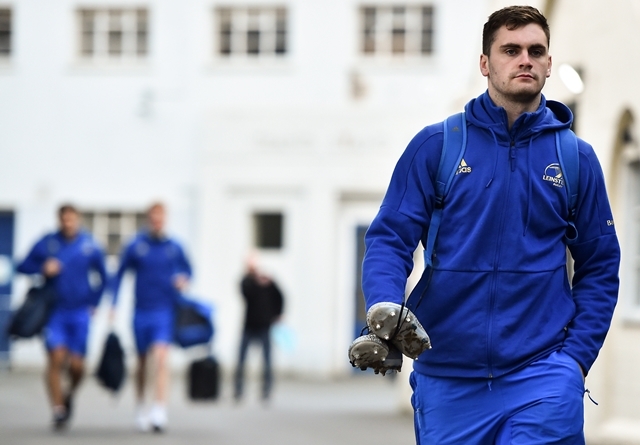 It will take some doing yet but don't rule out Leinster centre Conor O'Brien forcing his way into Joe Schmidt's plans before the year is out. The Leinster centre scored a sensational first-half try and was at the heart of most of his side's best attacks, as well as looking eager and useful in defence. Having only made his senior debut earlier this season - scoring against Zebre on his debut - his latest performance was another encouraging sign. He finished Leinster's routine win with a try, 71 metres made off 16 carries (one line break and five defenders beaten) and he stuck 11 of his 12 tackles. Leinster were 14-0 up before 15 minutes had passed. The forwards did most of the damage but several of the Blues backline got involved in the first score. 20 phases, clinical ball retention and Sean Cronin bashing over. Cronin added his second, six minutes later, and it was already shaping up to be a long night for Ulster. Adam McBurney got a nice try for the visitors, to give them brief hope, but O'Brien did them all ends up soon after. Leinster won the restart, after McBurney's score, and three quick passes later the ball was in O'Brien's hands. 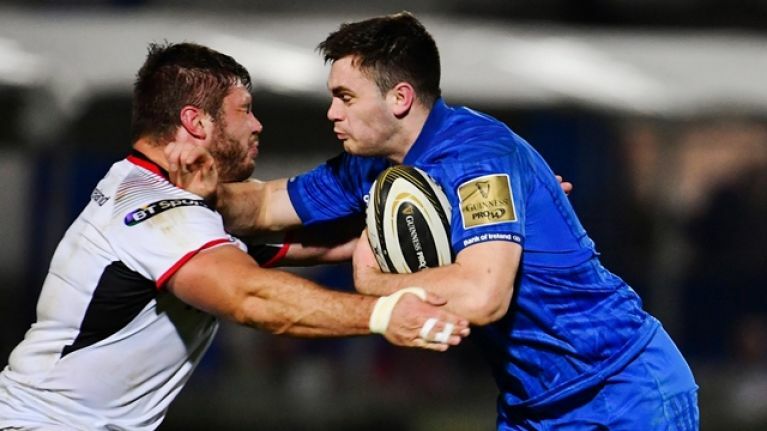 Ulster missed 22 tackles in the first half and five of them came in quick succession as the Leinster centre ran them ragged before dotting down. The half ended with Leinster opting against a kickable penalty to kick for an attacking lineout. That worked a treat as the ball was retained, Ulster flooded bodies into the breakdown and Andrew Porter still forced his way over for the bonus point try. The second half was all about Ulster trying to keep Leinster at bay for as long as possible while trying to add scores to make the trip back to Belfast less grim. Victory had long since been slashed off the list of options. As it was, the visitors held firm for 20 minutes but a dominant Leinster scrum spun their opponents and left David Shanahan exposed against his opposite number, Jamison Gibson Park. The tackle was missed, the scrum-half dived over and Ciaran Frawley converted to make it 33-7. Ulster did little in attack for the final quarter and it was Leinster that were rewarded for pressing on with a penalty try in time added on.